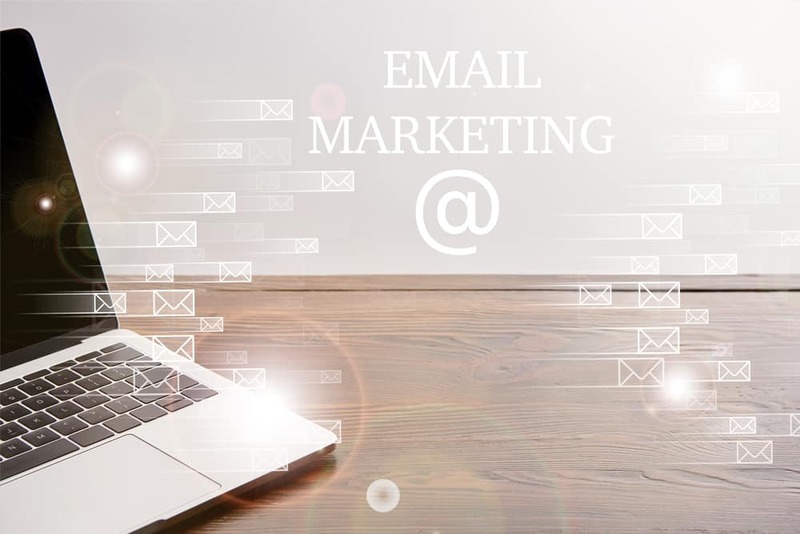 Whether you are trying to quit your day-job, publish a New York Times best-seller or promote anything, having an email list is one of the best ways to do so. You can never know when Google, Facebook, or Pinterest will decide to change their algorithms and plummet your overall reach. On the other hand, you have full control over your email list and it’s completely yours to keep. 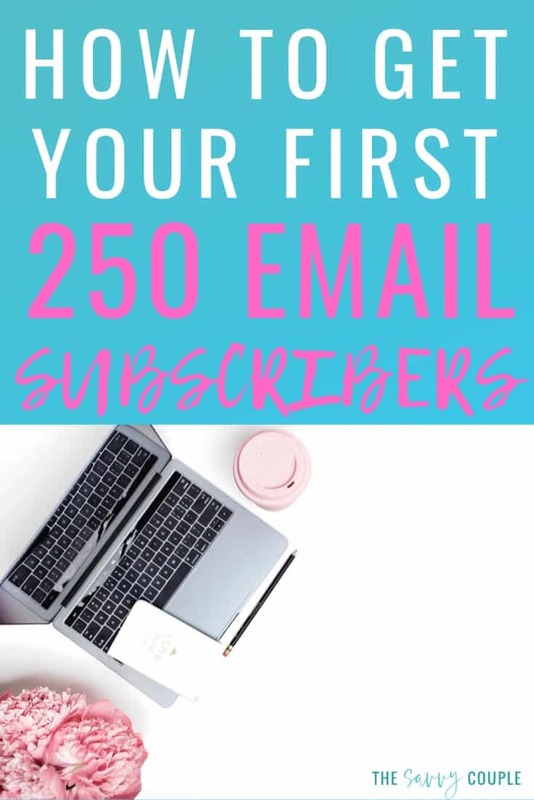 I’ve seen it over and over how bloggers regret not starting their email list sooner. Do yourself a favor and start building your email list right now. Today, I’ll walk you through exact tactics that you can use to grow your email from 0 to 250 subscribers. You can grab a FREE 14-day trial of ConvertKit here. Before we dive in, at this point you should have a nice looking website ready to go. Simply use WordPress and don’t spend a more than a weekend on setting it all up. You can always come back to it and make changes later. If you’re looking for some guidance for setting up your site, you’ll want to read this ultimate guide to starting a blog. You should also have an email service provider. This will let you manage your day-to-day email marketing operations, including sending broadcast emails, configuring automated sequences and much more. Depending on your budget and preferences, my two favorite email service providers are ActiveCampaign and ConvertKit. When you are trying to grow your email list, you want to put together an incentive or a freebie. The better the incentive is, the faster you’ll be able to grow your email list. To get your creative juices flowing, ask yourself: what would be one thing or resource that would be incredibly useful for my audience? If your particular incentive wasn’t free, it should be so valuable that you could even charge money for it. At BlogProfits, I’ve tested several different incentives, but I’ve seen the most success with a mini email course. Since my audience is made up of bloggers, my incentive is 9-lesson email course that guides people through starting a profitable blog. Whatever you end up doing, spend some time putting together the offering and make sure it’s useful and incredibly valuable to your audience. Once your incentive is ready to go, it’s time to place the opt-in forms across your site. You’ve probably heard the rule of 7, where people have to see something at least 7 times before they take action. There are a lot of different opt-in types and over time you’ll figure out what works best for your audience. For example, blogs that are heavily focused on user experience might choose opt-in form(s) that don’t clearly interrupt the reader. The danger with these subtle opt-in forms is that users may become blind to them after a while. For example, blogger James Clear has a simple sidebar opt-in form that lets the reader focus on the content without a real distraction. On the other hand, you might want to use an opt-in form that interrupts the reader and forces them to take action. For example, many blogs like to use pop-ups that appear after a specific time. Even though they interrupt the reader, they perform quite well. 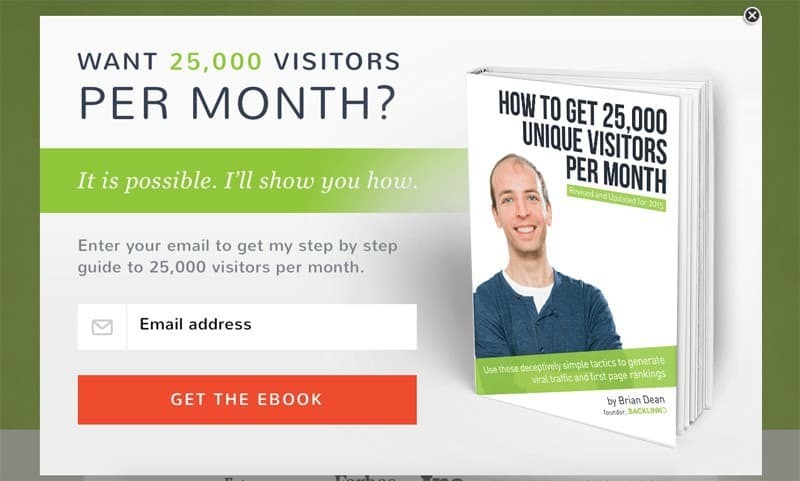 Here’s an example of a popup from SEO expert, Brian Dean. You should try out many different opt-in forms and see what works and what doesn’t. Depending on your email service provider, you should be able to create and design different opt-in forms directly and include them on your site with a code snippet. You can always use tools like OptinMonster or Sumo that give you more premium features. These tools usually do a great job of designing more custom opt-in forms and better A/B testing. If you are just starting out with building your email list, you don’t have to worry about it too much. Once your site starts getting more traffic, increasing conversion by just a few percents on an opt-in form can make a massive difference. 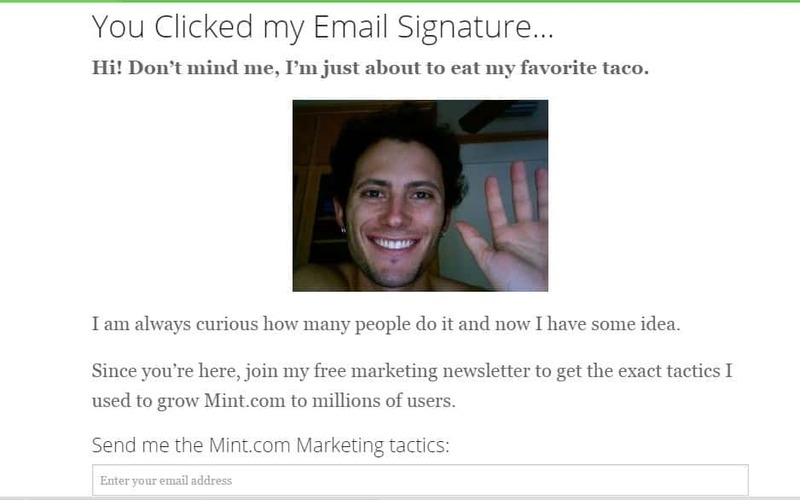 Just because you have an interesting blog and a few opt-in forms in place, your email list won’t skyrocket on its own. You want to get as many eyeballs and traffic back to your blog as possible. Your email list will grow as a byproduct. There are many tactics that you can use to drive traffic back to your site and some of them work better than others. Let me walk through 4 specific tactics you can use right now. It’s important to remember traffic is the lifeblood of a successful money making blog. If you have traffic you have the opportunity to grow your email list and monetize your blog. Some would say that traffic cures all and I believe there is some truth to that. A great place to start growing your traffic to your blog is Pinterest. 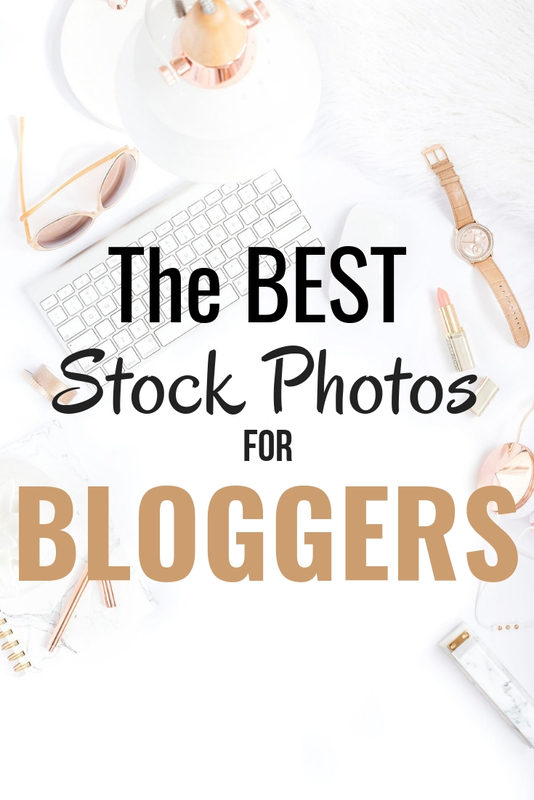 It’s a visual search engine that millions of users use every day and can quickly start driving traffic to your blog. I would also focus on learning SEO as search engine traffic is the highest quality traffic you can get. If a user already has intent when they arrive on your site, creating an opt-in to capture emails becomes very easy. Here is an incredible guide on how to increase your blog traffic. For a second, think about the number of emails you send every day? It is it 10? 100? 300? No matter the number, you should take advantage of your email signature. All you have to do is add a compelling call-to-action to your email signature. The call-to-action should redirect people to a page on your website, where they can opt-in to your email list. You can try different call-to-actions and see what performs the best. This simple tactic can add a lot of new subscribers to your email list each day. Over the years, you’ve probably connected with thousands of people – coworkers, people you went to school with, etc. You want to reach out to the people who you think might benefit from being on your email list, and ask them to join. If you’ve been using Gmail, there’s a nice little hack you can use. 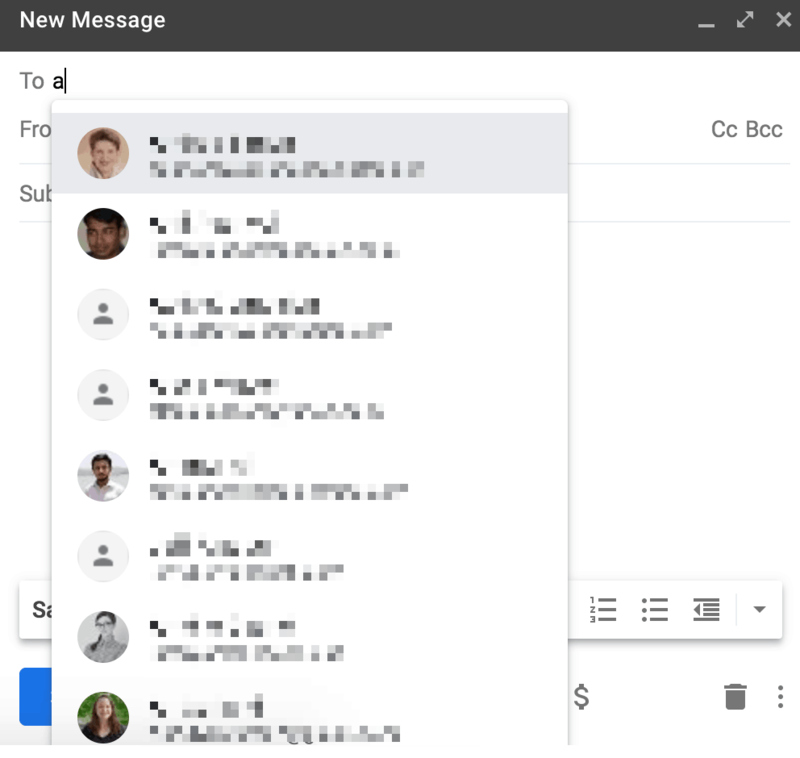 As you head over to Gmail, click on “compose”, hover at the “recipient” field and type in a random letter. 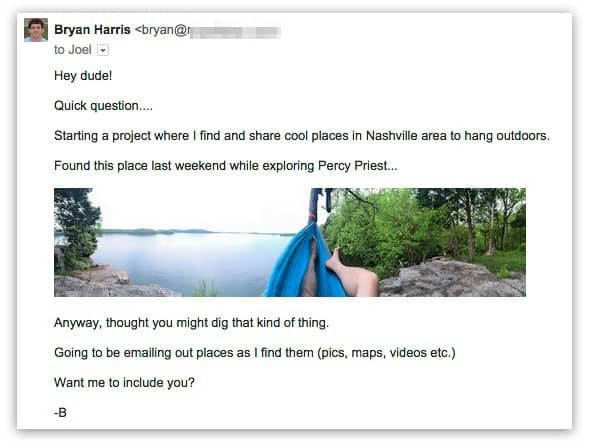 Gmail will give you a list of names and emails of people that start with the letter you entered. As you go through the results, compile a list of people who you think would be a good fit to be part of your email list. Next, you simply reach out to them with a personalized pitch. Once a person gives you a green light, you can manually add them to your email list. If you want to take this tactic even further, you can even ask the people who joined the list to refer you to 1-2 of their friends who would be potentially interested as well. Depending on the size of your network, you should be able to add a few hundred to your list using this tactic alone. Quora is a Q&A platform where everybody can post questions and answer them. It has been around since 2009, and even people like Ashton Kutcher and Barack Obama have answered questions on the site. The major benefit of Quora is that once you take time to answer a question, you’ll get traffic to your site for years to come. For instance, Tony Stubblebine, the founder of Coach.me has noticed that an answer he wrote about meditation years ago still brings him traffic today. Before you jump in head first and start answering a bunch of random questions, take some time to fill up your Quora profile. Spend some time crafting the headline (up to 80 characters) that will appear above any answers that you write. Fill up your profile summary, where you can share highlights of your career or even share interesting things about yourself. Ideally, you want to stand out from the crowd. Be sure to include a link to your site! Once you’ve completed your Quora bio, it’s time to find the right questions to answer. Each question on Quora shows how many followers it has. If a particular question has too many followers, there’s a high chance that your answer will get buried. If a question has just a few, you run a risk of not getting any serious traction. You should aim to answer questions that have 20+ followers and less than 10 answers. When you’ve found the right questions, spend some time writing the answers. Treat it as a short blog post and make it engaging, useful and valuable. Quora users love storytelling, so if you are able to answer from your personal experience, you’ll have a higher chance of getting in front of more eyeballs. A nice little tactic that Daniel Ndukwu taught me is to include a call-to-action signature to all of your Quora answers. This way you’ll be able to drive even more traffic back to your site, rather than depending on people clicking to your site through your bio. Rember to grab your FREE 14-day Convertkit trail to start building your email list today. As your email list starts growing, it’s so important not to forsake existing subscribers. You need to have a game-plan what happens after the initial incentive has been delivered. Try to be straightforward and honest with your audience, and let them know exactly what they should expect after they sign up to your email list. If you tell them that they should expect one email every Monday, you need to deliver. The easiest way to keep your subscribers engaged is to send emails consistently. In my experience, it should be a minimum of two emails a month. Ideally one or two emails a week. One of my favorite examples of incredible consistency is Paul Jarvis. For the past 6 years, he has been writing his Sunday Dispatches newsletter, and he never fails to send it to his subscribers on Sunday mornings. His audience expects it, and he doesn’t want to let them down. For my podcasting agency, Oscar Hamilton and my own podcast, I send out one email a week to my list no matter what. Consistency is the key to an engaged email list, and most importantly it builds real trust between you and your audience. The best part about email marketing is that even if you have a tiny email list, it can really pay off. I’ve seen over and over, how people with email lists with just a few hundred people have been able to produce incredible results. It’s better to have an email list of 250 people who actually look forward to hearing from you than thousands of people who don’t really know who you are and what you stand for. Focus on growing your email list every single day, and make sure that you keep your existing subscribers engaged. Bio: Siimon Sander is the founder of Oscar Hamilton, a podcast production company, editor of BlogProfits, and host of Online Hustle podcast. What’s your favorite way to grow an email list? For more great tips and advice for growing your blog into a success, check out our group on Facebook, Blogging With Purpose! You pulled all the best tactics from top bloggers and analyzed them. Enjoyed reading and now going to implement the strategies on my new blog. A great read. I am a new blogger and business owner and have had so many questions about starting my email list and how to do so. Thank you for making it clearer to the steps I have to take. Great post! That’s awesome you found something that works wonderfully for you! This was a great post, and I enjoyed the idea of dividing my daily tasks into even smaller tasks. I will try to implement some of this stuff and see how it goes. thank you so much. This was SO helpful. I’m at 25 and I see some tips I can tackle right now. Thank You! !